As the upcoming Karnataka elections unfold on Twitter, the microblogging platform reflects everything that’s happening in the state election and conversations between citizens and candidates. Tweets related to the Karnataka elections on Twitter were more than double than in the previous month, indicative of developing civic-mindedness on the platform. 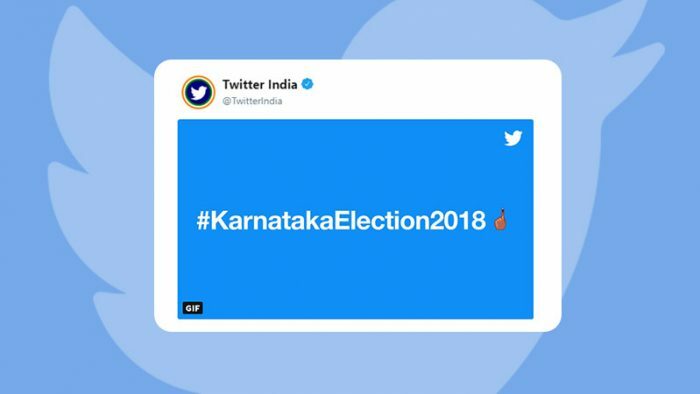 As the election campaigning kicks off, Twitter is launching several initiatives for Indians to provide real-time updates on the campaign trail, connect voters to politicians on the most important election issues, and to have their voices heard during the #KarnatakaElections2018. Twitter has collaborated with The News Minute (@TheNewsMinute) to host an #AskTheLeader series of interviews with election candidates, allowing citizens to get to know their leaders better and get answers to their queries with regard to the priorities for the state. People can Tweet to @TwitterIndia and @TheNewsMinute using the following hashtags #KarnatakaElections2018 and #AskTheLeader to join the conversation and be heard. Twitter will also be hosting #BlueRoom panel discussions in Bangalore with young leaders, journalists and people interested in civic society on the priorities for the State. Topics include wishlist for the elections, ideas on what Karnataka needs from the new leadership. These discussions would be held in collaboration with The News Minute, Network 18 and others. How do you view this month’s #Karnataka elections?